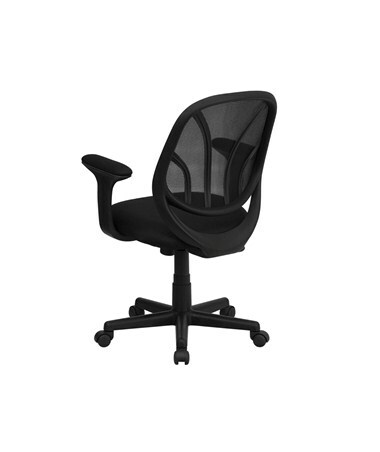 The Flash Furniture Y-GO Mid-Back Mesh Chair with Arms GO-WY-05-A-GG features a mesh back with flexible ribs that conform to your body for cool comfort and support. 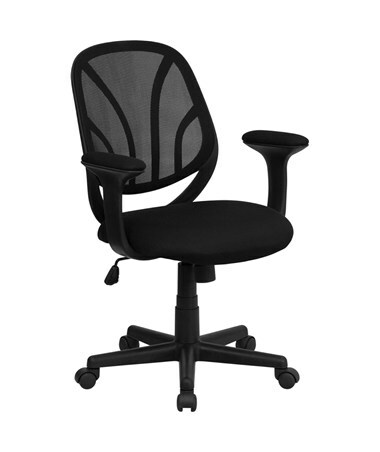 You can relax your arms on the height adjustable padded armrests. 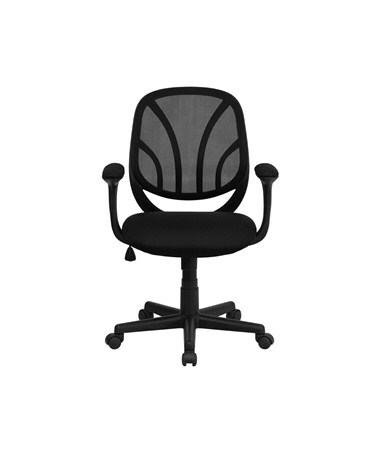 This office chair has a padded seat, with black mesh fabric upholstery, that measures 20”L x 19½”W. The backrest is 18½”W x 19”H. 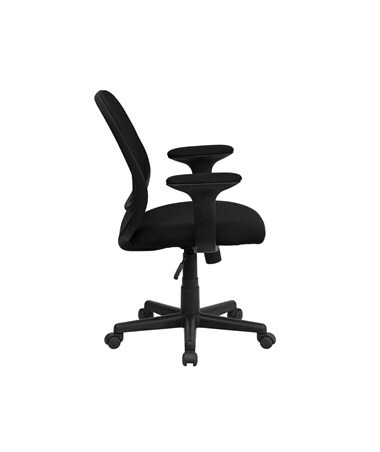 You can customize you chair with the adjustable seat and back tilt. The tension control knob allows for variable resistance for seating people of different sizes and strength levels. The tilt lock lever stabilizes the seat. Seat height is pneumatically adjustable from 17” to 20¾”. The black nylon 5-star base moves around easily on 5 swiveling wheels.